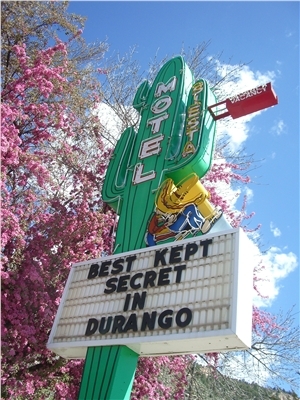 The Siesta Motel is a little budget-friendly motel in Durango, CO that some say is the best kept secret in Durango. American Family owned and operated since 1975.Clean, comfortable and affordable. The Mom and Pop's are getting harder and harder to find, and this one is tried and true! They are located in the 34th block of Main Avenue, on the north end of town. Located 29 blocks or 2 1/2 miles north of the train station depot, which is located at 5th and Main Ave. in historic downtown. General	| Located in the 34th block of Main Ave. the North end of town. 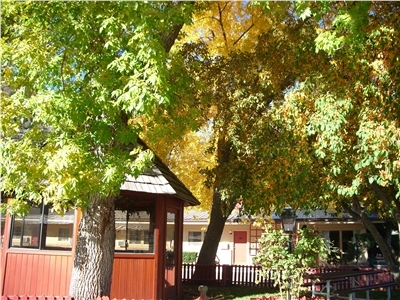 29 blocks or 2 1/2 miles north of the train station which is located at 5 th and Main North end of town. All rooms are non smoking. Smoking in rooms will result in a $200.00 charge on your credit card. Must declare pet, we only except one dog under 50lbs, the charge is $10/night. If checking in after 6p.m. contact property for late check in instructions. Check In	| 2 p.m. Check Out	| 11 a.m.
Other	| Address: 3475 Main Ave.